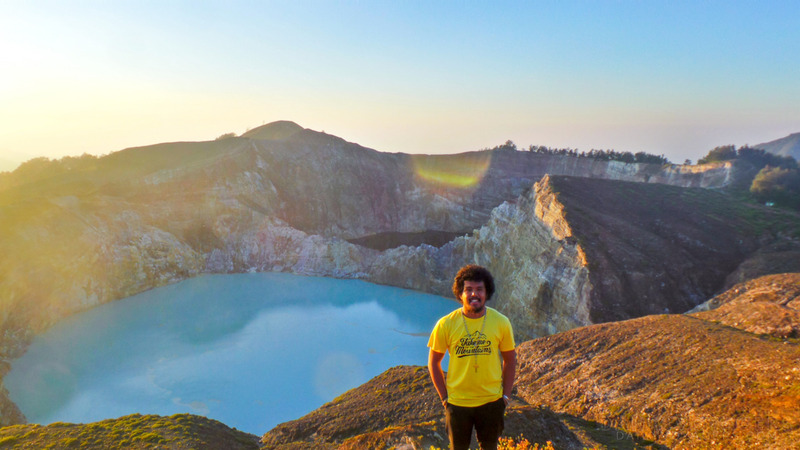 4 years ago, I had a chance to visit one of the most beautiful places in Flores, Indonesia, called Mount Kelimutu. Eventhough 4 years have passed, I am still able to remember every single beauty of it. 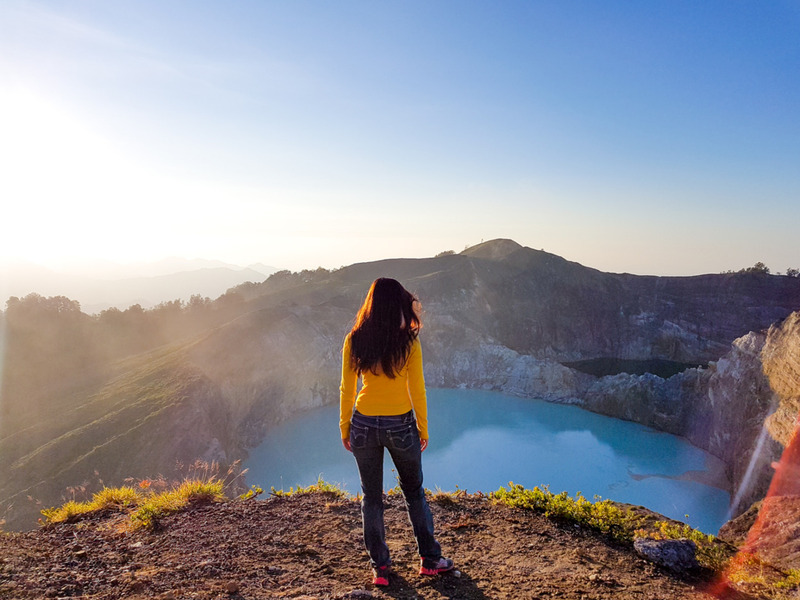 What makes Mount Kelimutu really special and becoming a magnet for tourists is there are 3 separated lakes on the top of it with 3 different colors, red, blue and green. Indonesians who were born at least on 90s must have seen the picture of the lakes on an old banknote of Rp 5.000. 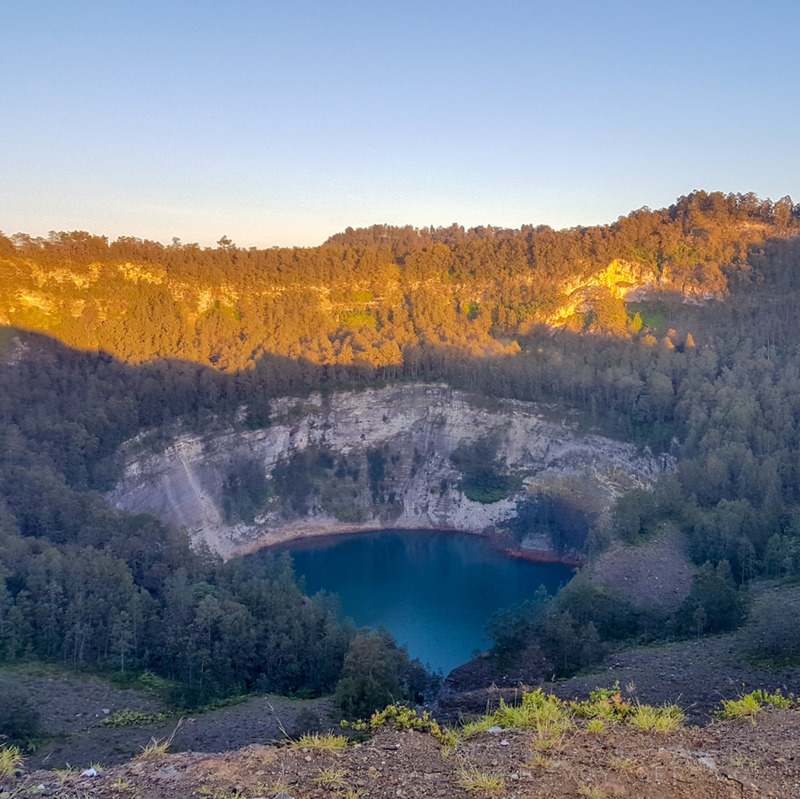 When I walked from the parking area of Mount Kelimutu, reached the top and saw all of those lakes with my own eyes, all I can tell you is I was really blown away. The color from the side by side lakes, red and blue, was more than beautiful. 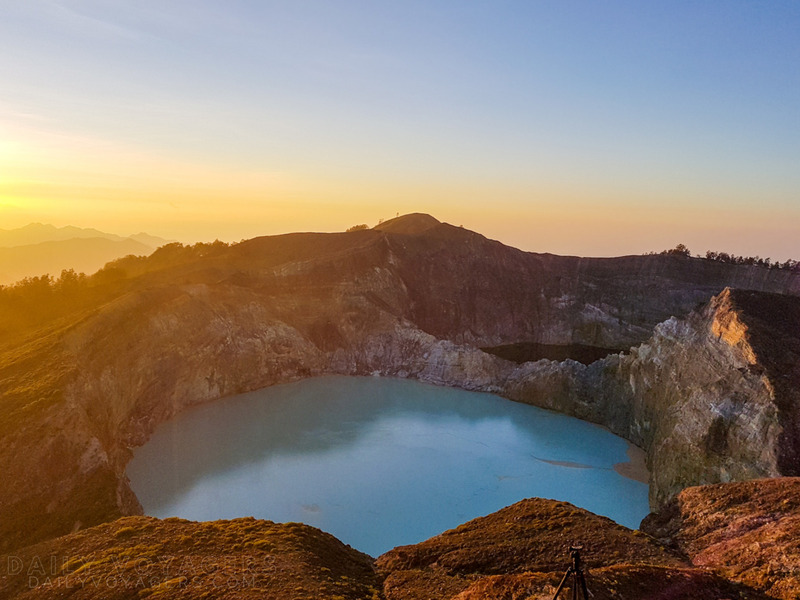 Combined with the light from the sun that was just raised, those lakes looked amazingly incredible. 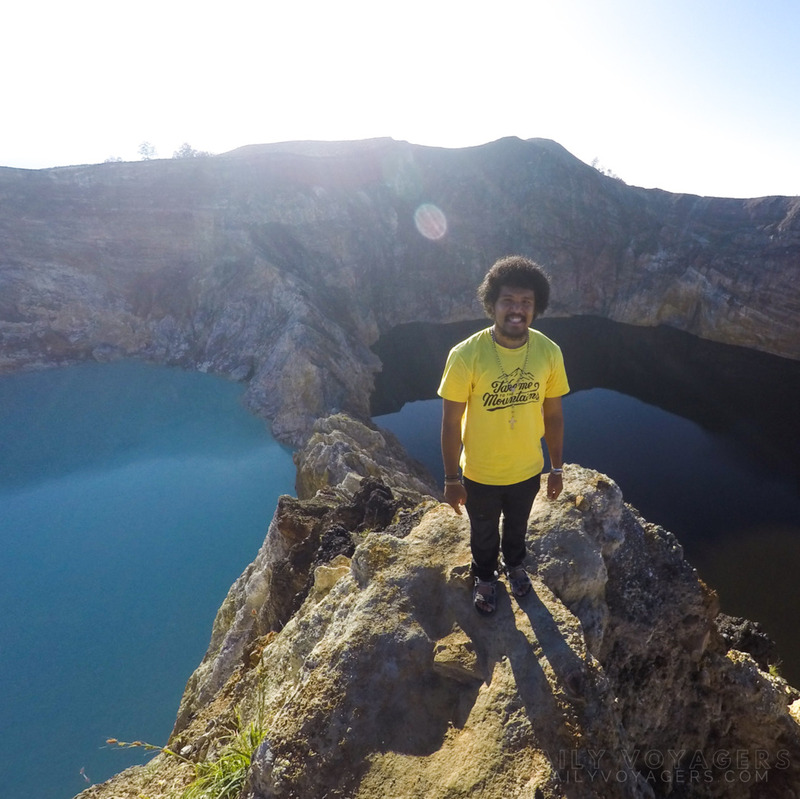 Scientist said that the 3 colors appear on those lakes were caused by the different chemical reaction that happened from the mineral inside it, trigerred by the volcanic activity. What makes it more interesting is those 3 colors still can change tounpredictable color (ex: red becomes black or brown) depend on another chemical reaction happened inside their body. The change happened without any prior natural clues. If you have heard what scientist said about the origin of those 3 colors, then what about the local people there? Do they have same answer? I don’t think so. 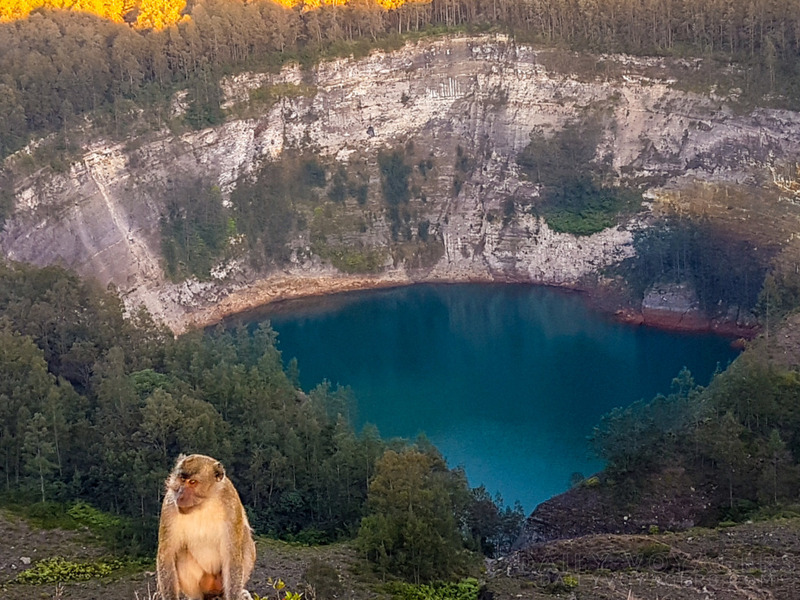 Local people who have been living there for years believe that those 3 lakes with 3 different colors came up from the battle between 2 most well-known and powerful persons, Ata Polo and Ata Mbupu. Long time ago, there was a person who called Ata Polo. He was a witch who loved to eat human. On the other side, there was a kind hearted man and also a community leader, Ata Mbupu. Because of his kindness and leadership, Ata Mbupu was very respected by all of villagers. One day, a couple of orphans called Ana Kalo came to Ata Mbupu to ask for protection because their parents had passed away. Ata Mbupu accepted their coming with open arms. He knew those 2 kids were chased by Ata Polo, so he asked Ana Kalo to stay on the field he pointed. He didn’t want those 2 kids became Ata Polo’s menu for breakfast. Knowing his prey had run to Ata Mbupu’s place, then Ata Polo walked to the same place. Instead of meeting Ana Kalo, Ata Polo’s step was blocked by Ata Mbupu. Then there was a conversation between them. ” Where are Ana Kalo? I wanna eat them.” said Ata Polo. “We gotta make a deal.’ Added Ata Mbupu. “What’s the deal.” Asked Ata Polo. “Let them grow and enjoy their childhood. Once they become a teenager, then I will hand over them to you. Their meat will be more delicious on that age.” said Ata Mbupu. Felt it was a good idea, Ata Polo accepted it and walked away. Long story short, after a long wait, the time Ata Polo had been waiting for was coming. The Ana Kalo had grown up and became Ko’o Fai (young girl) and Nuwa Wuri (young man). Before Ata Polo arrived in Ata Mbupu’s place, those 2 guys had asked for permission to leave the field and hide on a cave. So when Ata Polo came to ask for his right, Ata Mbupu said that he couldn’t find them. Ata Polo felt betrayed and got angry. “You are a flake,” said Ata Polo to Ata Mbupu. After saying that, the fight between them were inevitable. Unfortunately, Ata Mbupu with his white magic couldn’t hold back Ata Polo’s black magic. Then Ata Mbupu brought his body inside the ground, while Ata Polo, who was covered by anger, created a gigantic wildfire that led him to his own grave. 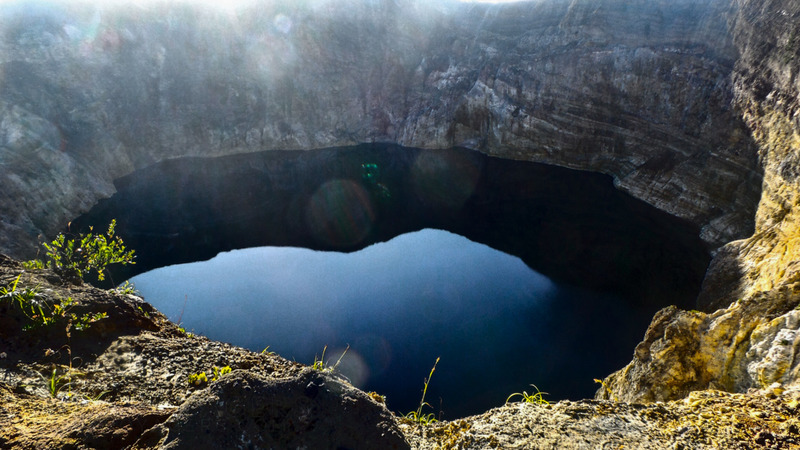 When the fight between Ata Polo and Ata Mbupu happened, a destructive earthquake came up and burried Ko’o Fai and Nuwa Wuri alive inside the cave becasuse the cave where they hide was collapsed. Where would my spirit go if I died here? 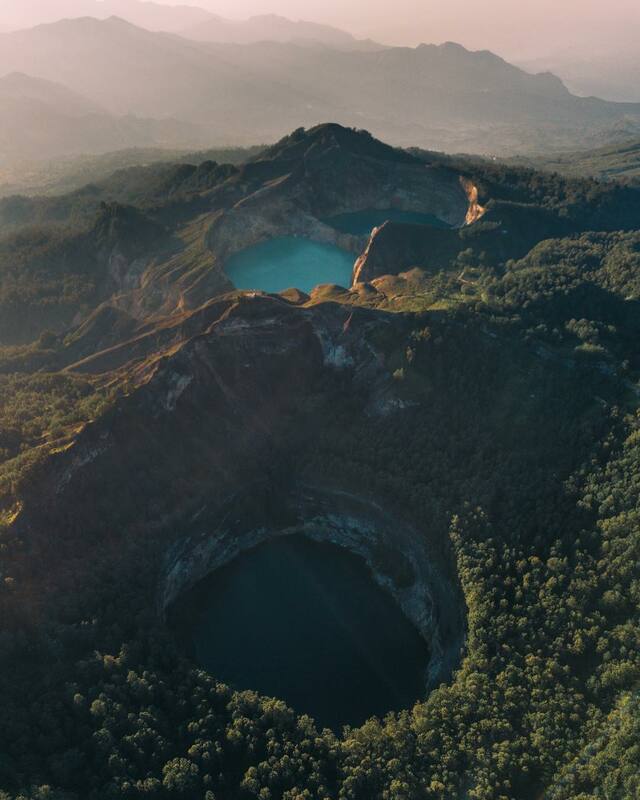 So when you see a separate lake with greenish blue color on the top of Mount Kelimutu, that is the place where Ata Mbupu disappeared. We call that lake Tiwu Ata Mbupu. Local people believe that the lake is the place where the spirit of the elders gathered. And the place where Ata Polo was swallowed by the earth, we call it as Tiwu Ata Polo. 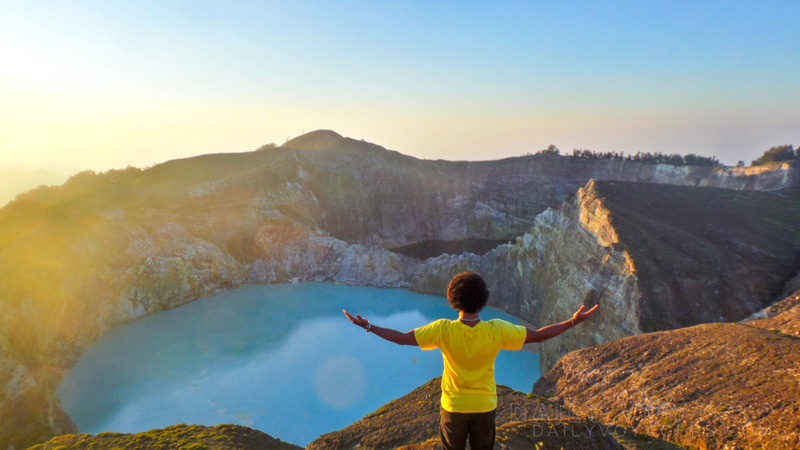 The place is marked by the appearance of the red lake on the top of mount Kelimutu. This red lake is believed as the place for evil spirit stayed. And the last, beside the Tiwu Ata Polo, the place where Nuwa Wuri and Ko’o Fai burried, we call it Tiwu Nuwa Muri Ko’o Fai. 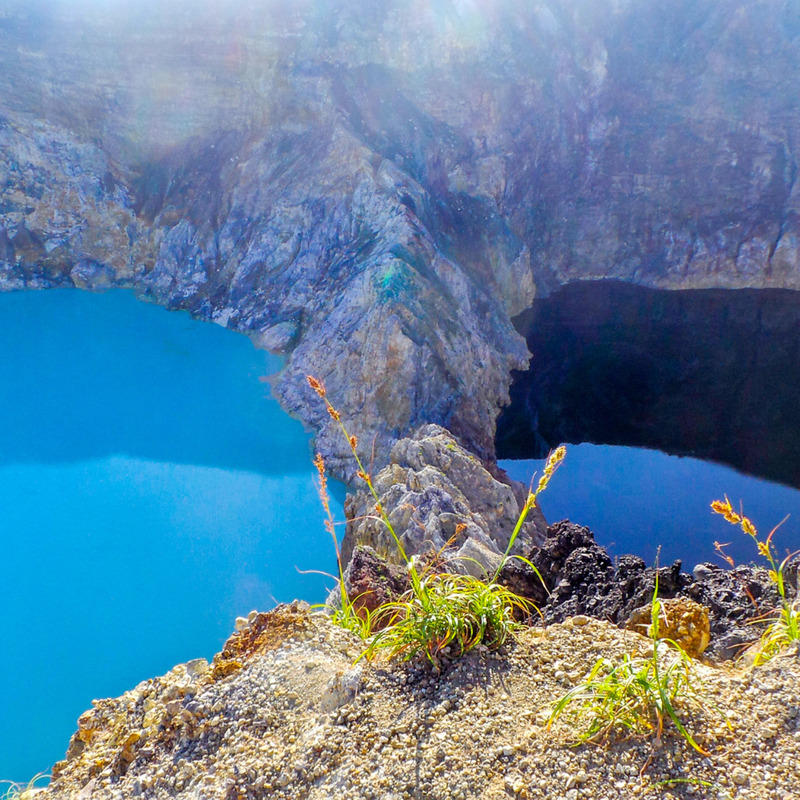 This lake, with its blackish blue color, is believed as the place for the spirit of young people. 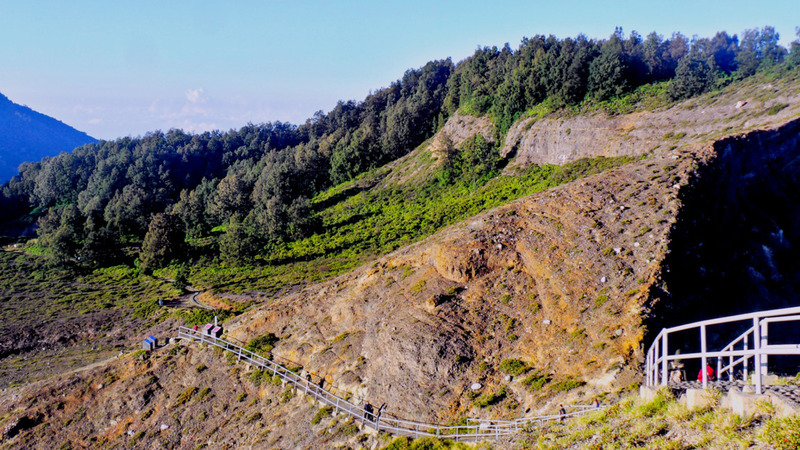 It is believed that spirits come to Kelimutu when people die. 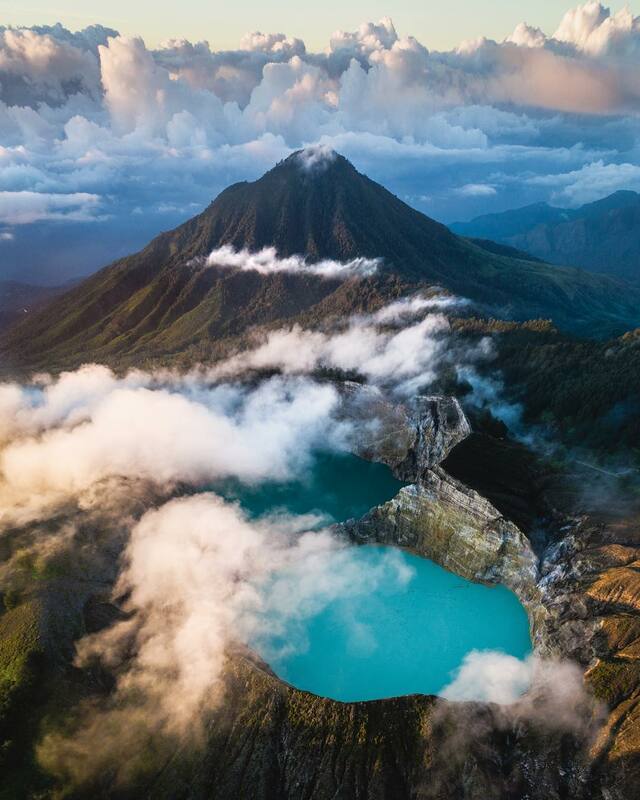 So before entering one of the lakes, the spirit would first meet Konde Ratu, the guard of the gate at Perekonde. Which lake the spirit would enter depends on its age and character when he/she alive. 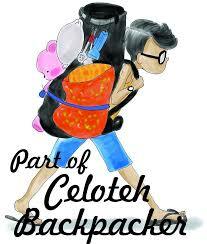 That’s a lil story of the legend of Mount Kelimutu. Hope you guys can enjoy that and respect what is believed by the local people. In English, Keli means lake and Mutu means boiling. That’s why you are not allowed to jump and swim on that lake.